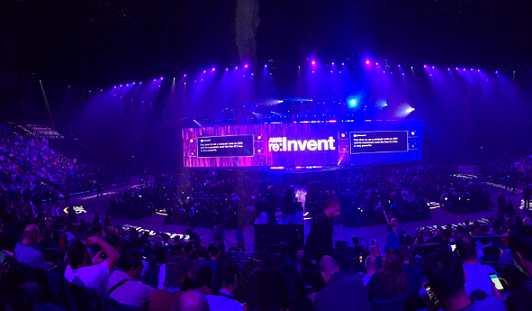 What an incredible week in Las Vegas as Amazon Web Services (AWS) hosted re:Invent from November 27 through December 1. More than 40,000 people attended the sold-out conference, and we hope you enjoyed meeting with AWS staff, hearing from leading cloud practitioners, and learning about the new products and services we launched. Our team was especially proud to represent the AWS Partner Network (APN) at the sixth annual Global Partner Summit, which included a keynote by Terry Wise, Vice President of Global Alliances, Ecosystem, and Channels, as well as dozens of breakout sessions over two days featuring business and technical topics to help you grow your AWS-based practice. The AWS Partner Network (APN) comprises tens of thousands of organizations from all across the globe, and in 2017 we added more than 10,000 new APN Partners. During his keynote, Terry Wise introduced several new programs and initiatives for APN Partners, including how AWS is investing in blockchain through our APN ecosystem. AWS provides the broadest and deepest capabilities and the largest global infrastructure for building end-to-end blockchain platforms. We will be launching an AWS Blockchain Competency in 2018, and you can sign up for our Blockchain for AWS Partners interest list to learn more. Guest speakers from the keynote included Colleen Manaher from U.S. Customs and Border Protection, John Nichols from PG&E, and Steve Bashada from Siemans PLM. Terry was also joined by AWS CEO Andy Jassy an Dr. Matt Wood, GM of Artificial Intelligence at AWS. This video is available for APN Partners only and requires a Partner Central account to view. Global Partner Summit featured many breakout sessions and you can watch videos of each in a PDF we have created. This document provides a brief description of the business and technical sessions from Global Partner Summit, as well as links to each recording on YouTube. The content is also available on Partner Central under the Content tab. We are enhancing and rebranding a key partner program—the Channel Reseller Program—to further recognize and reward APN Consulting Partners with proven solution capabilities who are building the future on behalf of customers. The program is now called the AWS Solution Provider Program, and it will have a tiered incentive structure, including additional incentives for bringing new customer opportunities to AWS, more choice in contracting with AWS, and will include more flexible AWS Support options. The program will be launched in early 2018, and you can sign up for our AWS Solution Provider Program interest list to learn more. At re:Invent, the AWS Service Delivery Program launched Amazon Alexa for Business to help solve tasks like calendar management, dialing into meetings, and searching for information. Amazon Alexa can simplify conference rooms, allowing meeting attendees to start and control the equipment in a room by using their voice. It can also provide directions to a conference room, notify IT about a broken printer, place an order for office supplies, and more. Alexa for Business Partners include software developers who have built voice skills for their applications, conferencing partners that use Alexa for Business APIs to simplify meetings, and APN Consulting Partners who help customers develop Alexa for Business and develop custom skills. See our current list of Alexa for Business Partners. 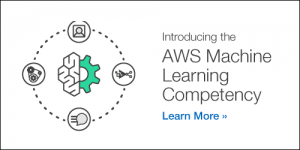 The new AWS Machine Learning Competency is available to APN Technology Partners. Specifically, we are looking for APN Partners with solutions that help organizations solve their data challenges, enable machine learning and data science workflows, or offer SaaS-based capabilities that enhance end applications with machine intelligence. 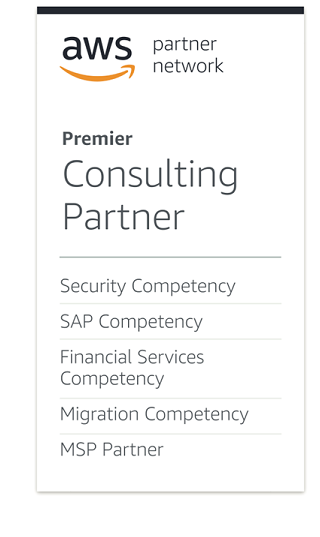 The AWS Machine Learning Competency launched with 17 APN Partners across three categories—data services, platform solutions, and SaaS/API solutions. Congratulations to our AWS Machine Learning Competency launch partners: Alteryx, Anodot, Bonsai, c3 IoT, Crowdflower, Databricks, Dataiku, DataRobot, Domino Data Labs, H2O.ai, Luminoso, Narrative Science, Paxata, SigOpt, Trifacta, Veritone, and x.ai. 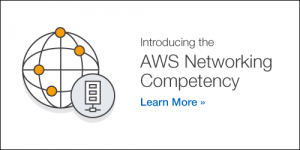 The new AWS Networking Competency is available to Advanced APN Partners with network solutions that assist customers in adopting, developing, and deploying applications on AWS. They offer a set of specialized solutions that auto-scale, are aligned with cloud design principles, and make it easier to use networking features in an Amazon Virtual Private Cloud (VPC). The AWS Networking Competency launched with 18 APN Partners across five categories—networking connectivity, AWS Direct Connect integration and infrastructure, load balancers, and network management. Congratulations to our AWS Networking Competency launch partners: AT&T, Aviatrix Systems, Colt Technology, Dome9 Security, Equinix, F5 Networks, Gigamon, InterCloud, Ixia, Megaport, NGINIX Inc, PacketFabric, Palo Alto Networks, ProtectWise, Tata Communications, Telstra, TOKAI Communications, and Verizon. AWS SaaS Factory provides a comprehensive set of enablement content and collateral, including reference architectures, AWS Quick Starts, SaaS Factory training series, and interactive activities such as webinars and workshops for prescriptive guidance on building a SaaS business. APN Partners who are designing, building, or optimizing their SaaS business on AWS may also be eligible for AWS promotional credits to fund innovations, as well as access to the AWS SaaS Factory team. You can sign up for our SaaS on AWS interest list to learn more. The AWS SaaS Accelerate Program connects partners with validated SaaS products to resources and tools that accelerate product growth, enabling them to reach more customers quicker. This includes promotional AWS credits to support customer free trials, use of AWS branding to demonstrate product validation to customers, go-to-market support for listings on AWS Marketplace, access to an ISV Success Manager to support joint engagements, and connection and alignment with the AWS Sales Organization and APN Consulting Partners. The program will be launched in early 2018, and you can sign up for our AWS SaaS Accelerate Program interest list to learn more. APN Badge Manager is a tool that allows Standard-tier and above APN Partners to access, manage, and create custom badges to showcase the APN Program designations and AWS Competencies that your company holds. With APN Badge Manager, APN Partners can build customized badges to suit different communications goals. The tool will dynamically create an APN Badge with up to five program components. If you have more than five, you can create multiple APN Badges to suit each use case. For example, you can create one APN Badge to showcase your APN Program level and another badge to showcase your APN Competencies. This toolkit is for Standard-tier and above APN Partners and contains guidance on the use of AWS logos and icons, as well as messaging guidelines to help you build engaging marketing collateral that follows AWS co-branding guidelines. The APN Marketing Toolkit provides information and resources such as PR guidelines, links to download high resolution brand files, and general co-marketing resources and best practices to help you build campaigns and collateral for your company’s AWS solution.